Open Education is a topic which has become increasingly popular in a variety of contexts. The Open Education Handbook has been written to provide a useful point of reference for readers with a range of different roles and interests who are interested in learning more about the concept of Open Education and to help them deal with a variety of practical situations. As a “living” online document, we hope that it will continue to evolve, reflecting cutting edge research and innovation in this area and helping educational communities to come to an improved understanding of the value of open. It was initially written as a LinkedUp Project deliverable and kickstarted through a series of booksprints. You can read more about the history of the handbook. Anyone can access what has been written and if you get a user account you can begin to contribute your ideas and suggestions. 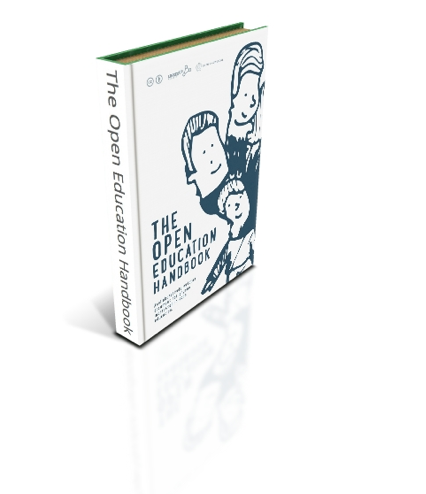 The Open Education Handbook is a community project of the Open Education Working Group. It is supported by Creative Commons, Wikimedia Deutschland and the LinkedUp Project. 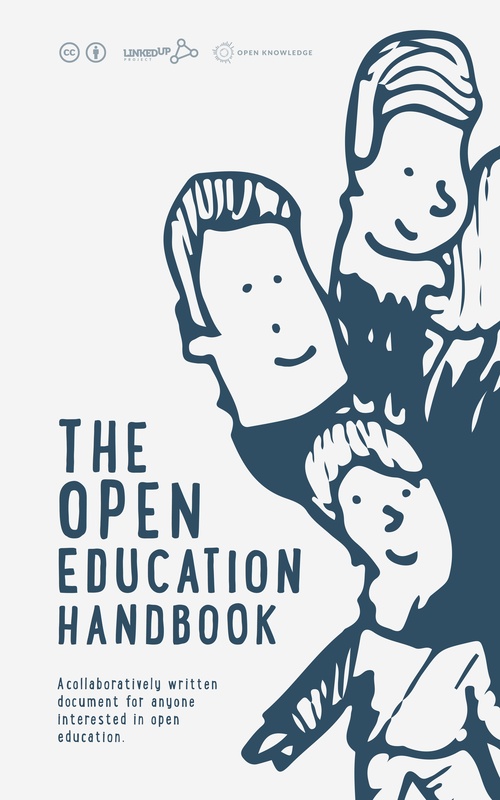 The Open Education Handbook is licenced under a the following Creative Commons licence. This license lets others distribute, remix, tweak, and build upon this work (even commercially) as long as credit is provided for the original creation. This is among the most accommodating of CC licenses offered, and recommended for maximum dissemination and use of licensed materials. [Format: html] This is a fork of the handbook appearing in Wikibooks. You can view the latest revision of this version and Wikipedia users can edit the content. [Format: pdf, jpg] Thanks go to Kevin Mears and Sam Smith for work on the cover.